No visit to Winnipeg is complete without a visit to The Forks, a public space located where the Assiniboine meets the Red River. This is a place where First Nations, fur traders, Metis, and settlers have gathered and traded for centuries, and is now a popular place for both locals and tourists to visit. You can read more about the site’s fascinating history here. 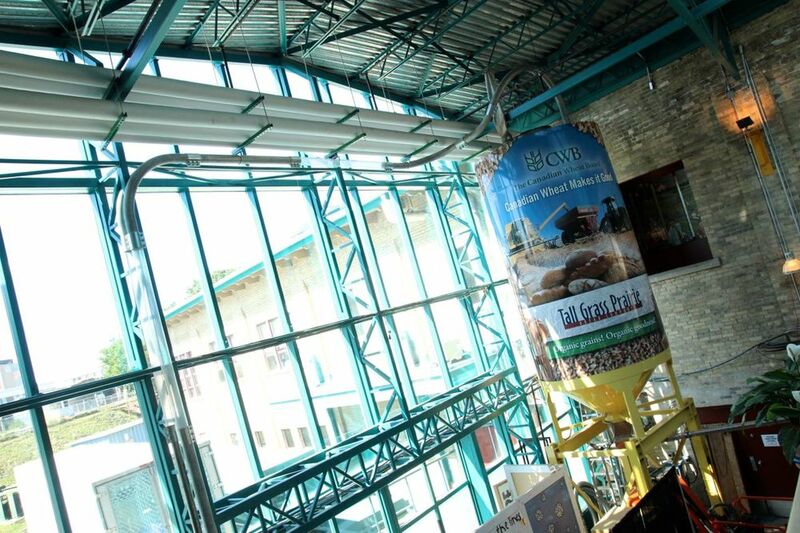 Today the area features all kinds of shops, restaurants, entertainment venues, and more, including an old railway car that now sells nothing but candy. A childhood dream train. Truly healthy bread – even cinnamon buns – can only come from a healthy Earth. Accountability to the land and to one another is best lived out in the context of community – a community that justly supports the production of local food. Home-grown Manitoba grains, seeds, berries and fruit are also among the essential ingredients of our products. By participating closely with growers in the food-making process we are able to directly pay them a just price for their grain. 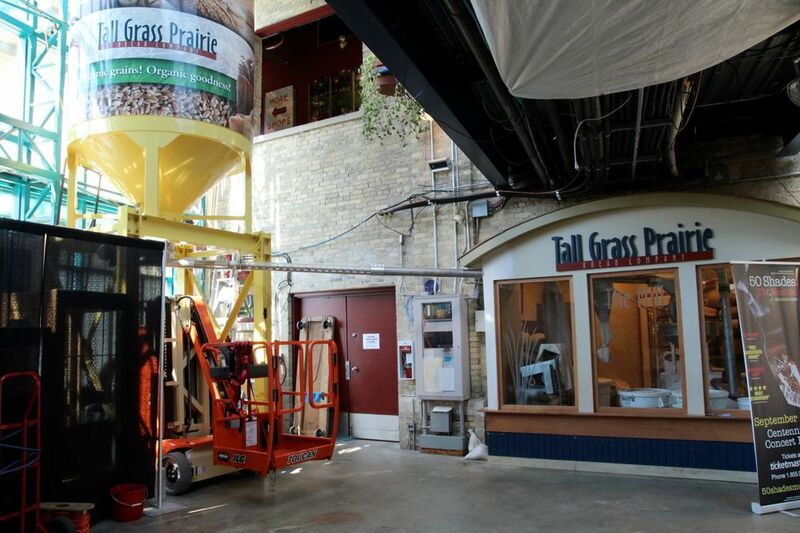 The bakery receives its grains directly from farmers, onsite at the Forks. They’re funneled along to a mill, where they’re ground into fresh flour for all their products. 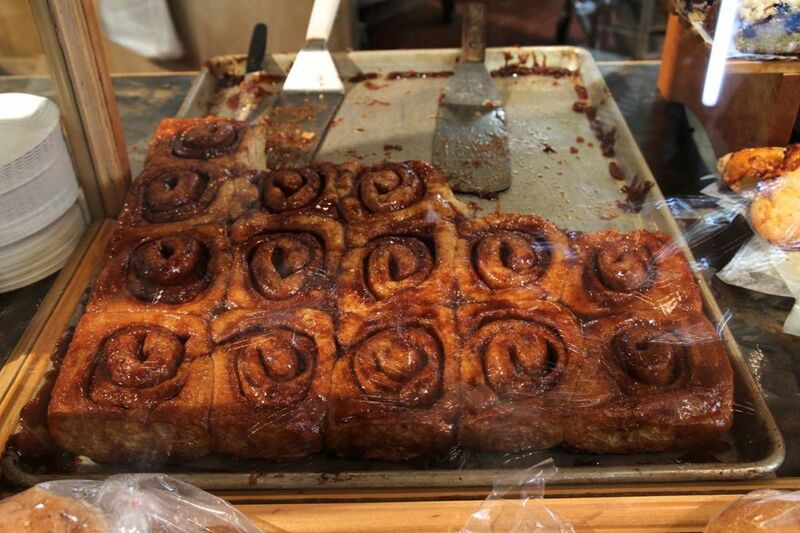 The bakery is famous for their sticky cinnamon buns, which come out in enormous, fresh batches throughout the day, as well as many different kinds of breads, cookies, and other treats. We tried their pecan bar, and had a mighty difficult time not going back for three more. Tall Grass also operates Grass Roots Prairie Kitchen, which offers take-away meals, salads, appetizers, crackers, oils, seasonal canning, preserves, grains, and local groceries. The kitchen’s influences include culinary traditions of the First Nations, Metis, French Canadians, early European immigrants, Hutterites, and Mennonites, with local ingredients such as Saskatoon berries and bison utilized as often as possible. 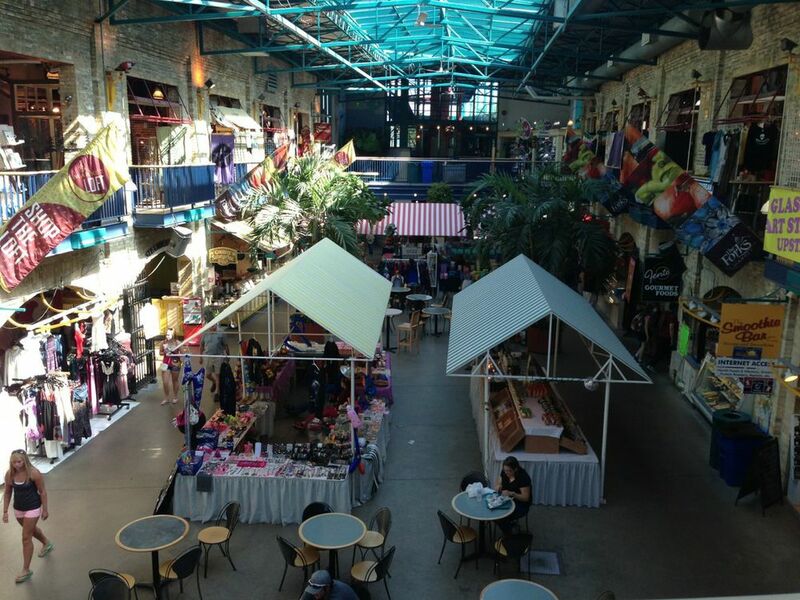 There’s a lot to explore at The Forks, and we’d recommend getting a start on your day at Tall Grass. 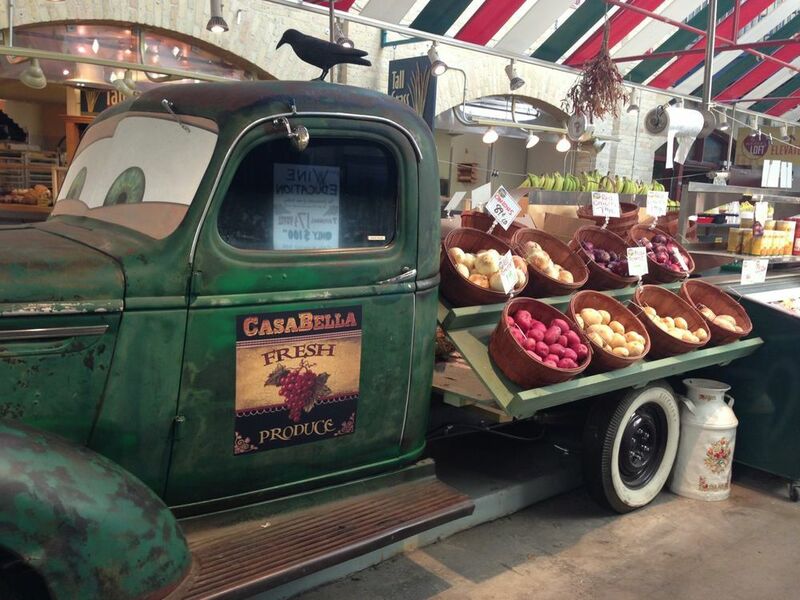 This is about as local and fresh as you can possibly get.